Sid Bharath is a marketer at Gorgias, the top-rated helpdesk app for your Shopify stores. Studies show that it costs five times as much to acquire a new customer than it does to retain one. And that ratio is only going to keep getting bigger as ad costs continue to rise. That’s why customer retention has become so important. Gone are the days when companies could throw more money and attract new customers. In most cases, the ROI just isn’t there. Instead, ROI lies in retention. When Amazon is stepping on your turf, and new customers are expensive, it’s the loyal ones that remain as your key source of revenue – so don’t ignore them. Here are five, simple strategies to keep them coming back for more. Roma Designer Jewelry is a luxury jewelry brand that started as a brick-and-mortar store ten years ago. Early on, most of their sales came through sales reps at offline events and pop-up shops. The strategy was a success. Reps could personalize their approach, form relationships with customers and help them find the right piece of jewellery for their needs. And, as a result, the customers felt valued and kept returning. When Roma started selling online, they noticed that retention dropped. They needed a way to replicate their offline approach for the online market. They realised that live chat duplicated that “in-person” experience, giving online customers the same level of attention as offline shoppers. Now, when visitors land on their store, the Gorgias live chat feature pops-up asking the customer for their needs. Roma also uses targeted chats based on the page the customer is viewing. If they came in from an ad, the chat would have a message consistent with the ad copy. If they’re looking at earrings, the chat would reference that. Today, over 30% of their business comes from online purchases – where customers are proving to be just as loyal as those offline. Live chat is not just a way to answer questions reactively. By reaching out to people when they’re on your site and proactively helping them, you’re showing that you care. And, by responding to them as soon as they start chatting, you can effectively build trust and loyalty. This is a much better experience than letting them fend for themselves when they’re on your site, and one they won’t forget when they’re looking for similar products in the future. Speaking of loyalty, a good loyalty program is a great way to enhance a solid product and shopping experience. Recently, I met someone who chose to take a Delta flight from San Francisco to San Diego with a stopover at LA, instead of a direct flight from a different airline, just because she wanted to collect her Delta air miles. But there’s a lot more you can do with your loyalty program than just reward purchases. 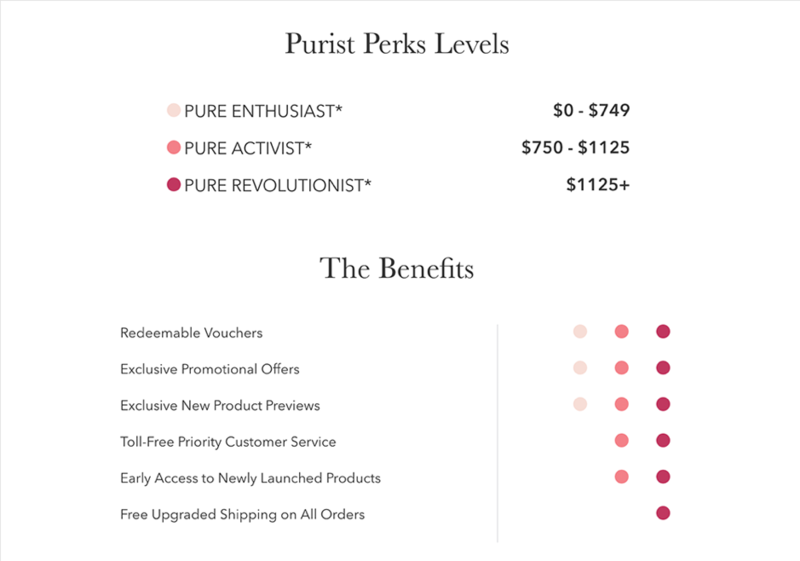 100% PURE uses loyalty tiers so customers can acquire more points to unlock exclusive benefits. Customers who join this loyalty program spend 72% more than non-members. And, 92% of members who made four purchases come back to make five more. Now that’s impressive loyalty. CheapUndies goes a step further and rewards customers just for visiting their site again. After logging in, a small notification is displayed that informs customers about their new points. This has contributed to $825,000 in additional revenue. Providing support for customers is now vital. You can’t build a sustainable business without it – just look at the viral stories of bad customer support. And, unfortunately, even good customer support is still not good enough. Some would consider answering an email within 24 hours as subpar. When you go above and beyond, that’s when people start talking. You don’t have to pull a Zappos customer service stunt and sit on the phone with a customer for 10 hours or take a flight to return a lost purse. While these actions make for great headlines, exceptional service can still lie in the small things. Campus Protein is a great example. The supplements industry is a war zone with zero barriers to entry and cut-throat competition. Despite the odds, Campus Protein has carved out a profitable niche targeting college students. 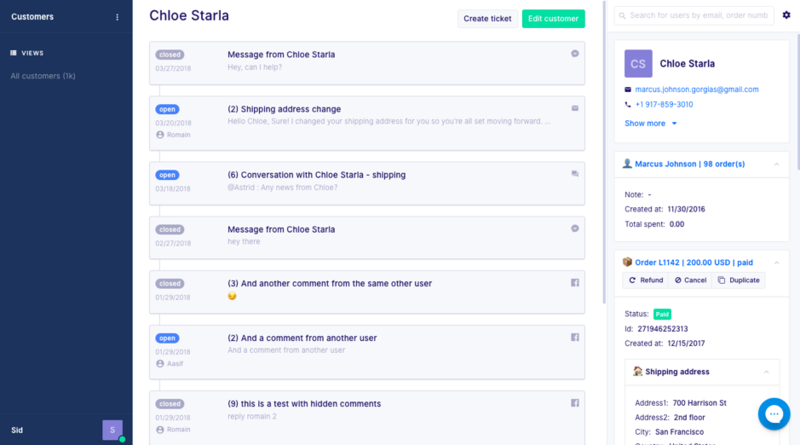 Using Gorgias, they combine all their customer support channels (chat, email, phone and social media) into one unified view that builds a profile of each customer. When a student chats with them, Campus Protein knows if they are a previous customer, as they have access to all past conversations and sales. With this data, they can provide personalized, relevant support. This approach ensures students always come back to Campus Protein when it’s time to replenish their supplements as they remember the brand experience over lower-priced competitors. The customer journey doesn’t end at the sale. In fact, that’s where it starts. You may have converted them with live chat, hooked them with loyalty points, and impressed them with your support, but, like any relationship, this will go stale if you don’t keep putting in the effort. A simple email follow-up goes a long way in maintaining loyalty. If you use a service like Klaviyo, you can send an email a few days after someone makes a purchase to ask them if they like the product. If you’re using LoyaltyLion, you can also track at-risk customers (those who haven’t repeat purchased within a specified timeframe). Then, you can trigger a simple outreach email or even automatically award them with loyalty points. LoyaltyLion also tracks birthdays and other customer events, giving you more opportunities to reach out and keep shoppers engaged. Remember, your best source of revenue is right in front of you – your existing customers. If you only focused on finding new ones, not only will that be more expensive but you’ll also lose your loyal customer base. Instead, get the small things right. By implementing the simple strategies in this post, be sure to expect your ecommerce store to grow without the added costs.